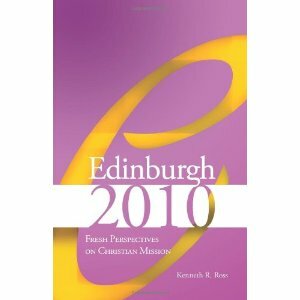 The Centre has contributed to a newly published book Edinburgh 2010: Fresh Perspectives on Christian Mission. The volume is edited by Kenneth Ross and develops the seven ‘transversal’ themes of the Edinburgh 2010 conference with case studies and vignettes (the themes being: One Church, Many Contexts; Bible and Mission; Women and Mission; Youth and Mission; The View from the Margins; Ecological Perspectives; and Reconcilion and Healing). My contribution is a short case study on ‘Teaching the Bible and Mission’ in which I give three snapshots from some lectures at Redcliffe. The material is based on blog posts on the Slave girl in 2 Kings 5; the wonderful passage Deut. 10:12-22; and Mark’s gospel. The Christian faith has a foundational text: the Bible. The reading, interpreting and dissemination of this text lie at the core of the missionary task. In this chapter a number of contributors reflect on aspects of the interplay between Bible and mission.